2000 acre fish and ski lake with unlimited horsepower and plenty of seclusion because you cannot see many houses from the lake, just woods and cliffs. Water quality? Clear, clean and deep in several areas. 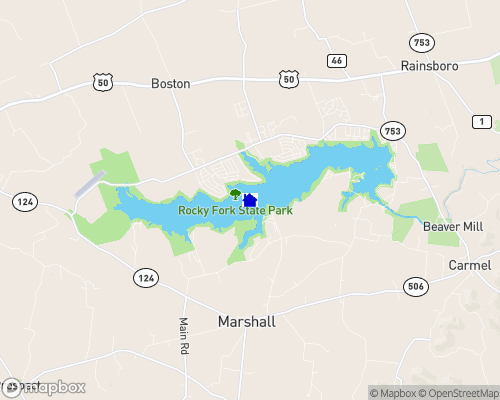 Visit Rocky Fork Lake for more information.